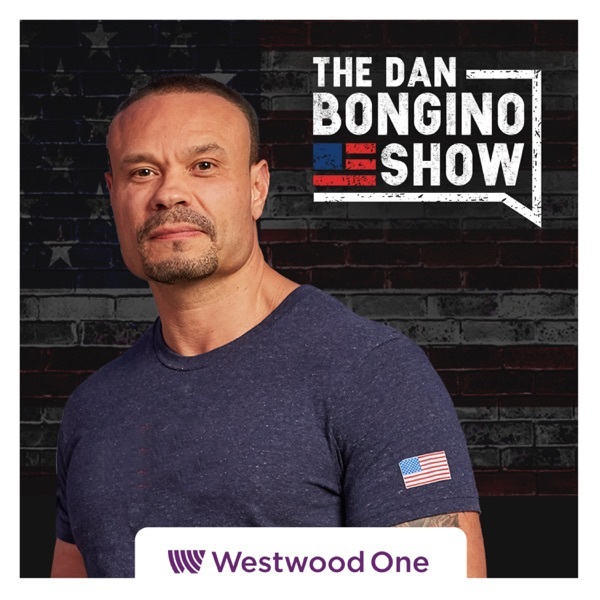 The Dan Bongino Show | Listen Free on Castbox. In this episode I address the astonishing comments by the liberal candidates running for President at a CNN townhall last night. I also cover a major revelation by Senator Lindsey Graham on the Sean Hannity show. Finally I address a bizarre decision by the Dallas Attorney General which will ruin the city. News Picks:This is disgraceful. Bernie Sanders wants the Boston Bombing terrorist to be able to vote. Here are four key dossier points debunked in the Mueller Report. The disastrous Washington Post focuses on “far right anger” in wake of Sri Lanka attack on Christians. Victor David Hanson’s piece address collusion’s biggest fraudsters. The citizenship question on the census heads to the Supreme Court. Copyright Dan Bongino All Rights Reserved. In this episode I address the real reasons behind the Trump revolution, and why media elites still can’t process what’s going on. I also address the troubling revelation this weekend by a prominent reporter about John Brennan’s role in the spying scandal. Finally, I address the failings of the Mueller Report. News Picks:President Trump tweeted out my appearance on Watter’s World this weekend, here’s the clip. Watch Jay Sekulow destroy Brian Williams in this video clip about the Mueller Report. Joe DiGenova absolutely shreds liberal Krystal Ball over her offensive comments about the Attorney General. Adam Schiff humiliated himself again on the Sunday talk shows. Here’s another meeting with a Russian connected to the Hillary team that’s being ignored. John Brennan’s role in the spying scandal is surfacing, and it’s not pretty. Did the Russians use the Obama administration as a tool in a “discoverable influence operation”? The Dallas District Attorney takes a major step backwards in law enforcement. Copyright Dan Bongino All Rights Reserved. In this episode I address the vindication of Donald Trump and the ridiculous Mueller report, which goes out of its way to harm Donald Trump. News Picks:The Mueller report has been released. Devin Nunes slams the Mueller report for ignoring the real scandal. The Trump team warns the Obama era DOJ that Justice will be served. The Trump legal team responds saying this is a total victory for the President. Are US intelligence agencies dominated by liberals? Copyright Dan Bongino All Rights Reserved. In this episode I address the latest information from the morning release of the Mueller report.News Picks:Here are ten post-Mueller probe questions that could turn the table on the Russian “collusion” hoax. The media is humiliating themselves again on the “collusion” case. The DOJ is going to allow some lawmakers to see the Mueller report without redactions. Watch Beto stumble trying to defend his charity giving. Devin Nunes is looking at these three potential setups of the Trump team. Copyright Dan Bongino All Rights Reserved. In this episode I address the astonishing hypocrisy of Bernie Sanders and his unworkable ideas. I also address the pending release of the Mueller report and what to look for in the report. News Picks:Liberals are lying about the Trump tax cuts and many Americans are buying the lies. Here are the numbers on who is really paying taxes in America. The Mueller report will be used as ammunition by anti-Trump conspiracy theorists. Paul Sperry sums up the Mueller strategy. This Andy McCarthy piece is so good President Trump tweeted about it. Copyright Dan Bongino All Rights Reserved. In this episode I address the puzzling connection between the Julian Assange arrest and players in the Russia-gate scandal. I also address some the more bizarre moments from the Bernie Sanders townhall on Fox yesterday. News Picks:Outrage after CBS shows an image with the words assassinate and Trump. The Julian Assange affidavit has been unsealed. The 2020 Trump presidential campaign is destroying the Democrats in fundraising. More profound hypocrisy from socialist Alexandria Ocasio-Cortez. Copyright Dan Bongino All Rights Reserved. In this episode I address the critical revelations by a GOP congressman this weekend about the status of investigations into media and liberal misdeeds. I also address some key questions still unanswered which will blow the lid off of this scandal. Finally, I address the upsides and the downsides to Trump’s new immigration proposal and the key decision Trump could make to ensure his re-election. News Picks:Three big things the collusion hoaxers got wrong. Congressman Mark Meadows says justice is coming. Is President Trump preparing congress for major budget cuts? The Democrats aren’t “lifting a finger” to help the President on immigration. Democrats are panicking as Devin Nunes closes in on the Spygate scandal. Paul Sperry’s piece addresses some of tricks the Mueller team used to confuse the public. Copyright Dan Bongino All Rights Reserved. In this episode I address the latest revelations by a key GOP congressman about the biggest scandal of our time. I also address a shocking provision of Bernie Sanders’ healthcare plan which will ensure that you wait in long lines for care. Finally, I discuss a Trump immigration proposal causing a meltdown on the Left. News Picks:Breaking: Devin Nunes sends criminal referrals to the Attorney General. Clueless Jim Comey embarrasses himself again. The arrest of Julian Assange could create a big problem for the collusion hoaxers. NY Democrats block a bill expanding tuition benefits for Gold Star Families after approving tuition benefits for illegal immigrants. Why are the Democrats objecting to illegal immigrants being moved to sanctuary cities? Copyright Dan Bongino All Rights Reserved. In this episode I address the stunning revelations by Attorney General Bill Barr yesterday about government spying. I also destroy the liberal talking points about “Medicare for all.” News Picks:Maxine Waters gets humiliated while questioning bank executives about student loans. Of course the Obama administration spied on the Trump team. Don’t listen to the media nonsense. The spy sent to report on the Trump team courted at least 3 Trump officials. New poll: Americans love the Trump economy. Here’s a list of the huge tax hikes in Bernie Sanders’ “Medicare for all” plan. This 2011 piece debunks the myth that government-run healthcare will be more efficient. This Washington Examiner piece destroys Bernie Sanders “Medicare for all” plan. Copyright Dan Bongino All Rights Reserved. In this episode I address the stunning new revelations from the Capitol Hill testimony of Attorney General Barr. I explain the critical takeaways and provide context for what’s to come next. News Picks:Radical leftist Ilhan Omar describes 9-11 as “some people did something.” Here’s the biggest bombshell from yesterday’s Bill Barr hearing on Capitol Hill. Breaking: The Inspector General is investigating the spy used to gather intelligence on the Trump team. New evidence emerges of a “cover up” in the Hillary email scandal. Attorney General Barr has assembled a “team” to investigate the corrupt FBI probe into the Trump team. Copyright Dan Bongino All Rights Reserved. us skilled laborers are getting short-dicked by this 15 min wage... prices will go up but our pay won't. great show again Dan, Paula, and Joe!!! awesome show as usual.such a great time to be interested in rule of law we're finally getting are winnings for the 2yrs we've all dedicated.LOCK THEM UP! PARDON JULIAN! Dan you always bring the goods, great show as always. Thanks Courts....now I have a picture of Quasimodo swinging from the bells of Notre Dame hollering "sanctuary". Dan, we absolutely SHOULD be celebrating Muller. Because of him, Dem corruption is clear, and Pres. Trump will be reelected in 2020... we should celebrate by kicking him down the deepest, darkest hole we can find a la King Leonidas. Intergalactic, cosmic hoax. Love it! Is it possible that all of the FBI cases that Mueller, Comey, etc which resulted in prosecution could be overturned because of their corruption? Maddow cries means freedom & liberty is safe for another day! 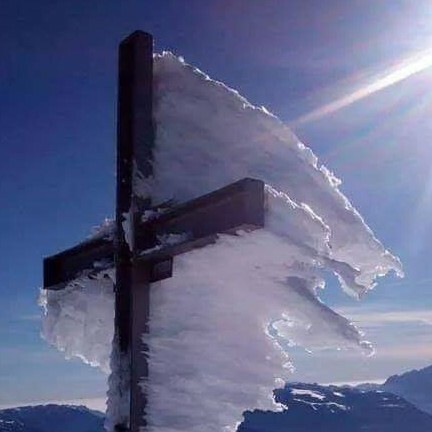 Trump 2020 to restore the Republic. Happy day! Dan needs to talk about the NZ shooter, and what eco fascism is, and how it is akin to national bolshevism, and how it's not just "white" nationalism.